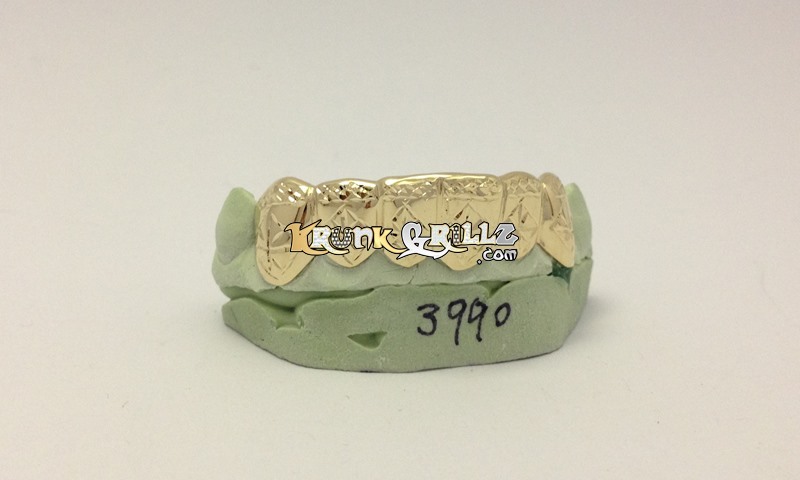 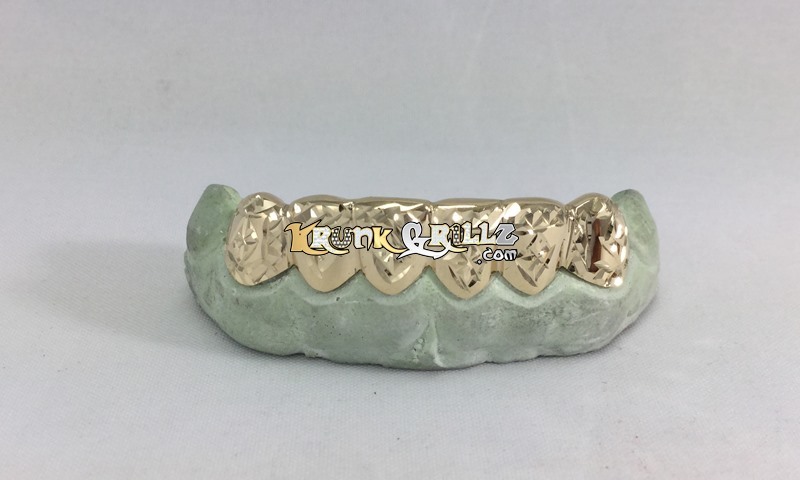 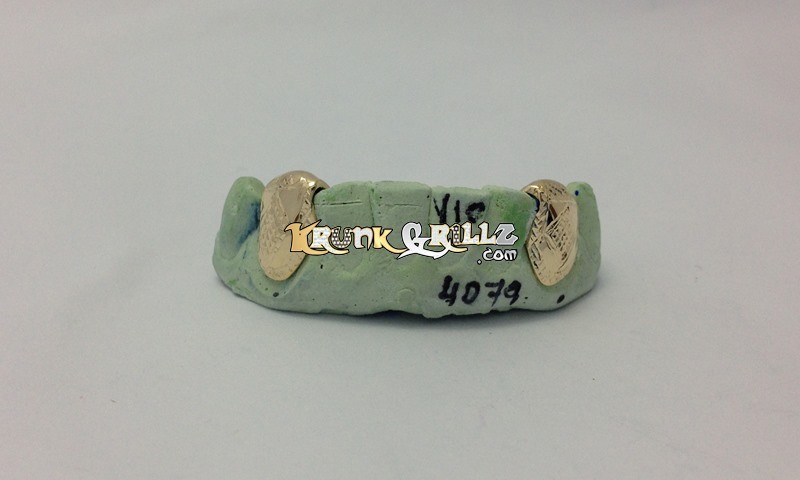 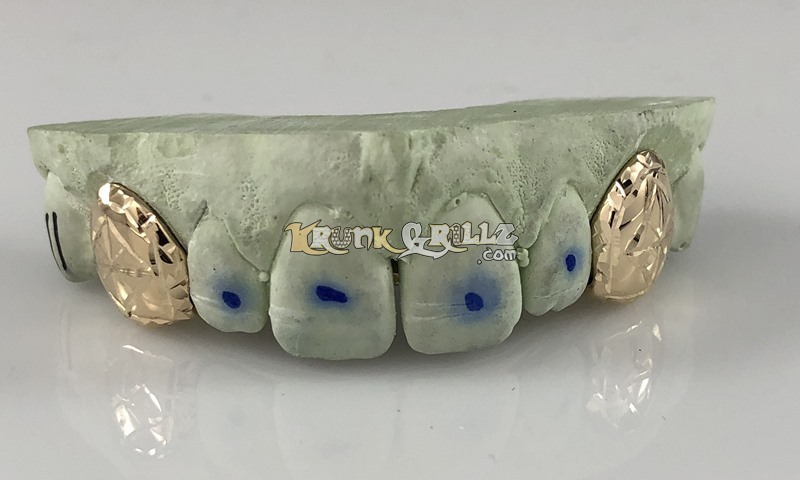 Custom fit grillz shown in bottom teeth 18k yellow gold. 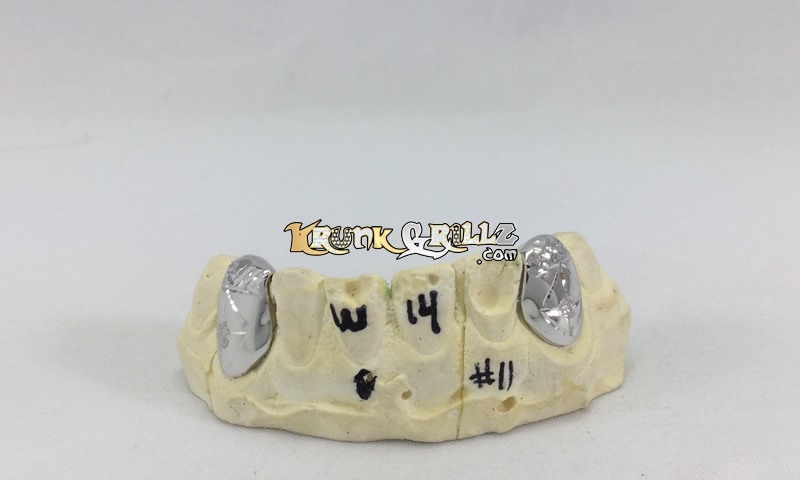 Diamond cuts along teeth-tip edge and around entire canine. 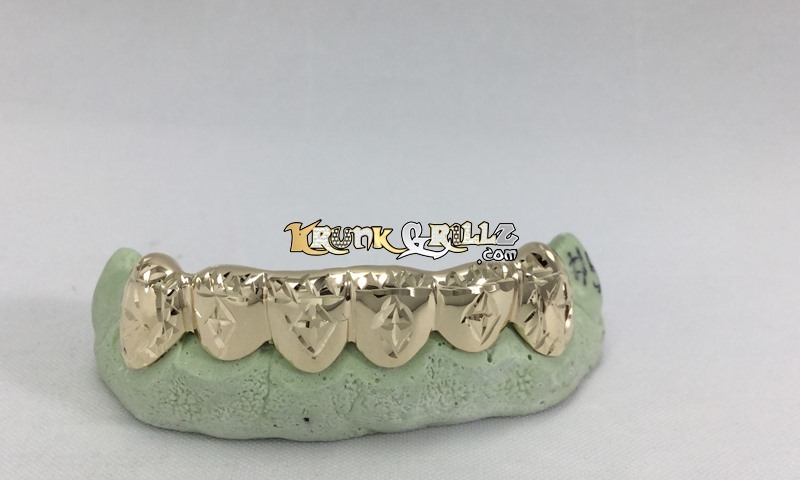 Special "diamond starburst" design centered in each tooth.